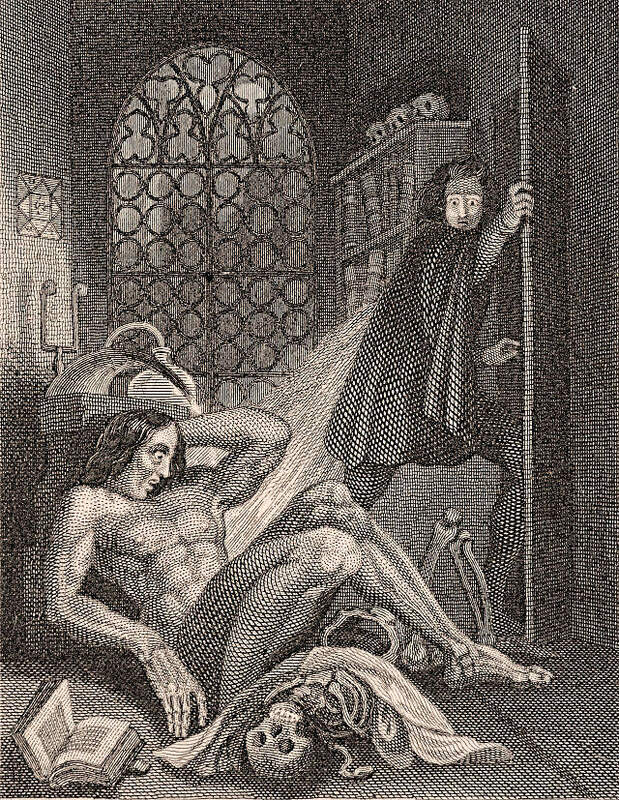 1816 is famous for being the year that Mary Shelley began to write Frankenstein. But it's also infamous for being "The Year Without A Summer". One of the hugest volcanic eruptions in recorded history emitted a sun-obscuring ash cloud, and temperatures worldwide plummeted -- destroying crops and ushering in several years of brutal famine. It provoked massive social disorder. So while Shelley was writing her novel, she may have had her mind on the hordes of starving Europeans desperately migrating across the nearby countryside in search of food, and being utterly rejected by the elites well-off enough to feed themselves. [Our] too-easy version of Frankenstein — oh, it’s all about technology and scientific hubris, or about industrialization — ignores completely the humanitarian climate disaster unfolding around Mary Shelley as she began drafting the novel. Starving, skeletal climate refugees in the tens of thousands roamed the highways of Europe, within a few miles of where she and her ego-charged friends were driving each other to literary distraction. Moreover, landlocked Alpine Switzerland was the worst hit region in all of Europe, producing scenes of social-ecological breakdown rarely witnessed since the hellscape of the Black Death. In Frankenstein’s Creature, Mary Shelley offers us the most powerful possible incarnation of the loathed and dehumanized refugee. I'm a bit more doubtful that Mary Shelley really had the plight of the countryside in mind while she was writing; in her own account of how she came up with the story of Frankenstein (very fun to read, and free here), she notes only that it was "a wet, ungenial summer, and incessant rain often confined us for days to the house". Nonetheless! This a very intriguing way to think about the novel. And the second half of D'Arcy Wood's essay is devoted to Baroness de Krüdener, who wrote a searing account of the plight of the climate-refugee hordes; it's intense, gripping stuff.